Morning or evening, once to twice a week. A multi-tasking exfoliator that’s as fast and gentle as it is effective. 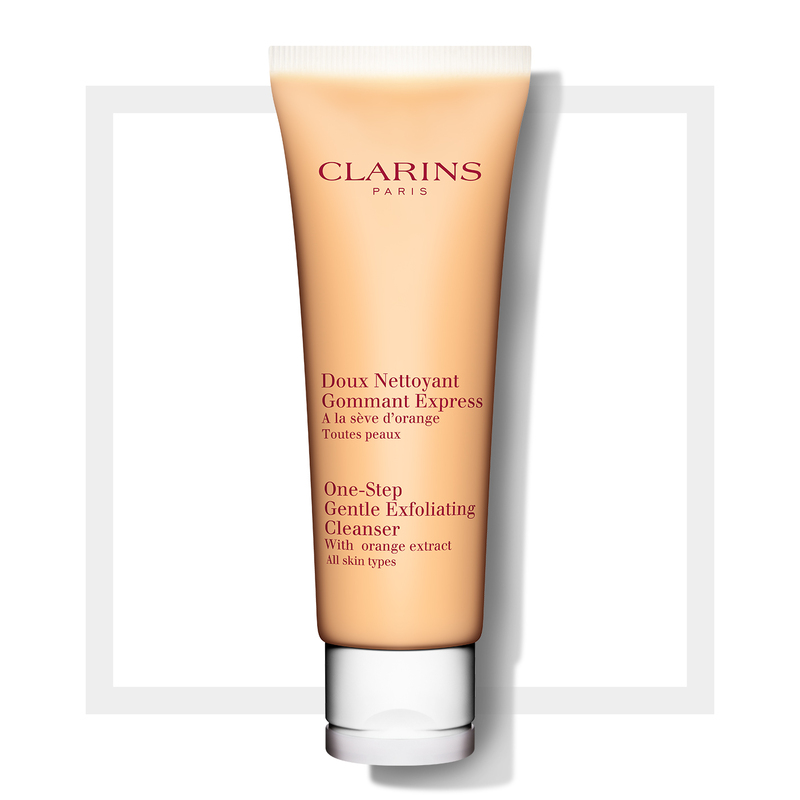 The Clarins One-Step Gentle Exfoliating Cleanser with Orange Extract is a spa-fresh exfoliating facial cleanser that polishes-away make-up, embedded impurities and spent surface cells in one time-saving step to reveal the glowing skin beneath. The bi-phase scrub both cleanses and exfoliates, gently removing everything that makes the skin look dull, leaving the skin smooth, soft and luminous. 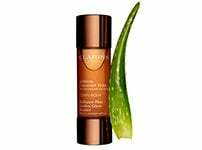 Orange extract works to soften, refresh and revive. Moringa Seed extract, with anti-pollution benefits, purifies and refines the skin and helps to restore its natural radiance. Gentle Silica Microbeads tackle clogged pores, exfoliate and renew. The exfoliating scrub leaves skin comfortable and ultimately refreshed. Place a small amount of product on the fingertips. Apply to wet skin and work into a lather. Exfoliate gently. Avoid the eye contour. Rinse with warm water. Rated 5 out of 5 by paddington from love this I use this every day and it make my skin feel soft and clean. it doesnt make my skin feel tight and i use this twice to make sure all my make-up is removed. It smells great and helps keep spots away. Rated 5 out of 5 by JemimaL from Amazing results I was quite sceptical at first about scrubs on my sensitive skin, but this is a gentle cleanser which lathers a little bit as you scrub. I love this product and my skin feels smooth and clean without any dryness. Rated 5 out of 5 by Glitterfan from Love this I had this to try as a tester and liked it so much I bought the full size product. It's lovely to use, is refreshing and washes off easily. Rated 5 out of 5 by Georgie3 from Gently does the job! Great smell. Gently exfoliates and leaves skin feeling smooth and clean. Love it! Rated 5 out of 5 by Londoc from Never without this I have used this for years and can't better it for quick simple morning cleansing. 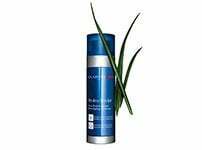 It is gentle seems good for all ages, smooths, refines and refreshes. 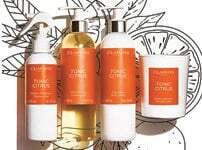 I love the mild orange scent, its simplicity and effectiveness. 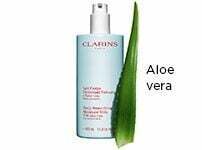 It's refreshing in summer, reviving in the winter and never makes my skin feel dry or tight. Rated 5 out of 5 by db31 from Love it! I've been using this for a few years now and I love it. It's gentle enough to use every day, it smells amazing and it leaves my combination skin feeling smooth. My makeup sits really nicely on my skin after using it too.